We just came out of a mini-holiday and we immediately enter into another. We enjoyed a return to the past, to our dear Romanian traditions and customs, and now is an ideal opportunity to continue our walk together. This time, however, we made for you (and for the child in you) a list of Romanian places full with stories, that you can visit in this prolonged weekend. And when we say full with stories, we do not joke. 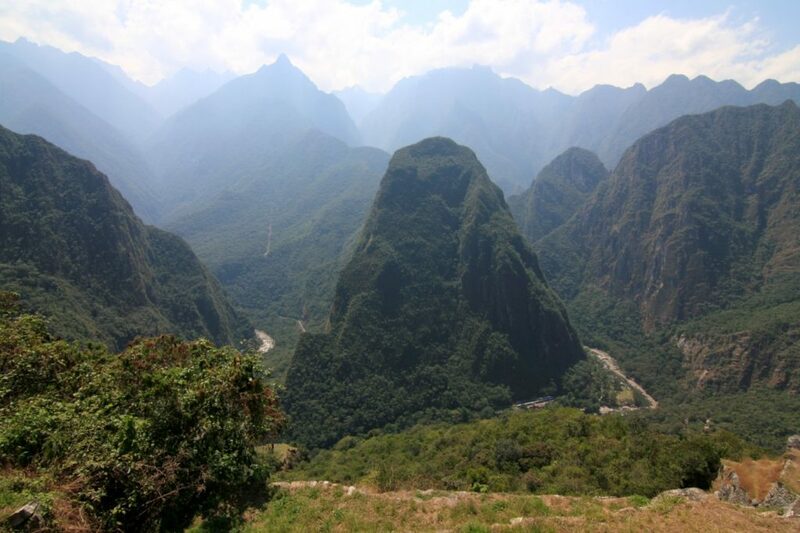 Each place comes with a legend, legends about which we have written here, of course. 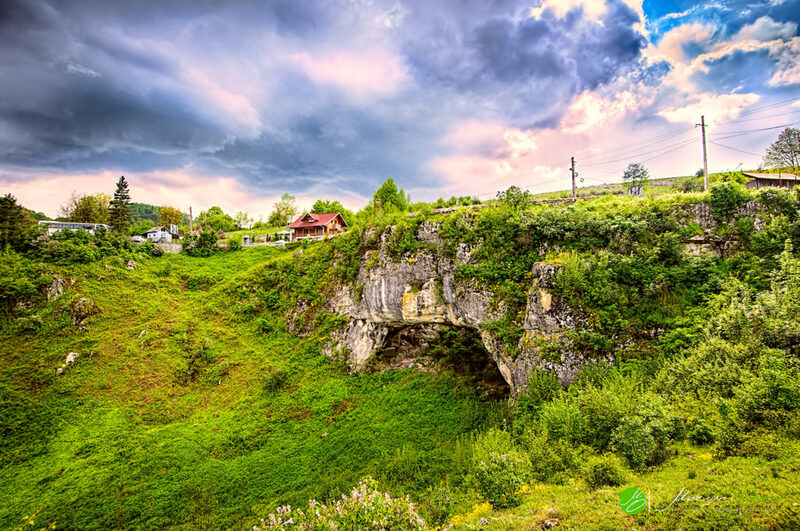 God’s Bridge in Ponoare is one of three natural bridges in the world and the second largest in Europe. It is also the only one that is still circulated. One of the stories surrounding this place says there is a cave where the devil lived. To save the locals, God struck the ceiling of the cave and it crashed over the entrance. The devil managed to escape through the second entrance, clinging to the hills with his claws. This is how the two fields called Aphrodite and Cleopatra took shape. The majestic landscapes we love from Maramureş are full of stories. Fearful stories. 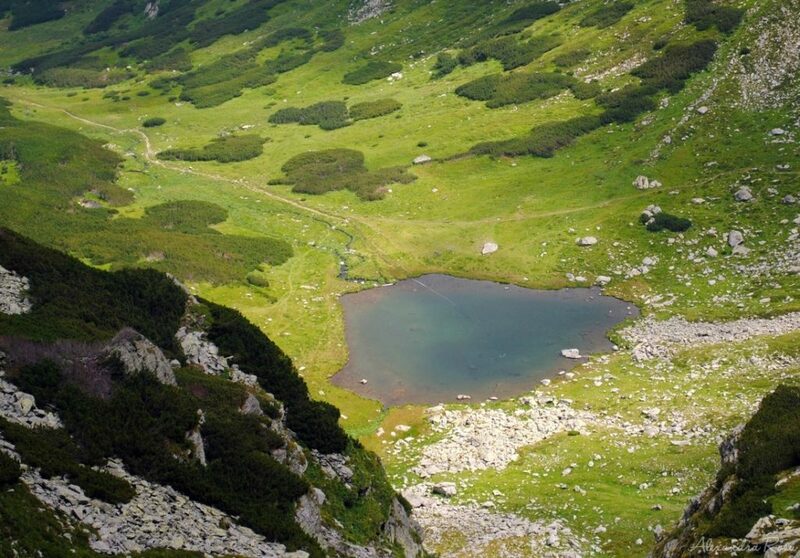 The lake from Pietrosul peak, famous for its shape similar to Romania’s outlines, is a bottomless lake. Or at least so say the locals, because any object is thrown into it can never be found. The Vinderel in Poienile de Sub Munte forms a whirlwind that pulls anyone all the way to the bottom. The villagers say that some evil forces have taken control over this lake and that they will kidnap anything that dares to disturb their silence. 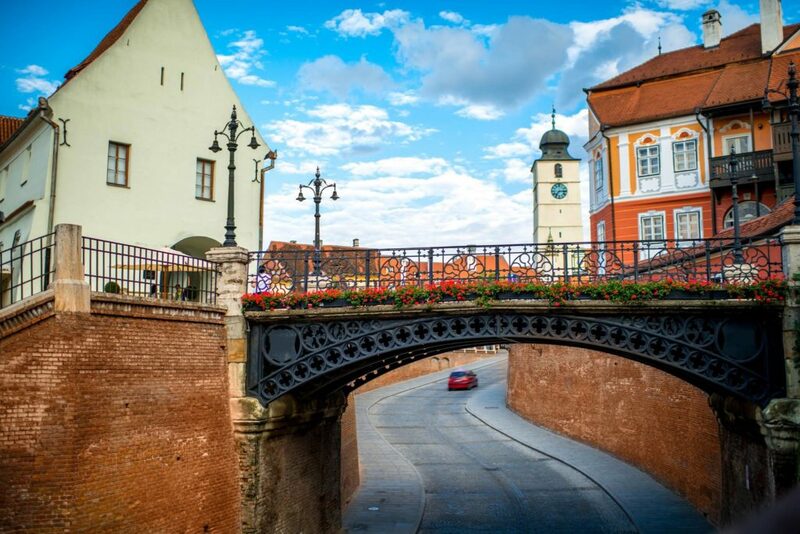 And because not all Romanian legends are surrounded by evil spirits, we go to Sibiu, more precisely on the Bridge of Lies. It is believed that this extraordinarily powerful bridge has ears and that when he hears a lie he starts to moan, and the balustrade gives the impression that it will give up at any moment, bringing the liar with his feet on the ground. Another legend says the bridge was known as a meeting place for lovers. Here they decided their future and the girls who claimed to be righteous and proved the opposite on the wedding night were thrown off the bridge. We, however, prefer the first legend. Situated in the northwestern part of the county, on the border with Bihor, Hunedoara and Arad, Chicken Mountain is our recommendation for climbing enthusiasts. Once upon a time, a extremely beautiful fairy was living in a bright palace. She had a golden feather chicken that made three golden eggs a day. Every day, the fairy gave the three eggs to the poor girls to be married. Hearing these, three boys disguised themselves in women’s clothes and broke into the palace with the thought of stealing the chicken. In their escape, the golden eggs fell from the basket and broke into the Aries River. Since then, Aries has beaten gold in its sand. Few people know that one of the cities from the Grimm Brothers fairytales is exactly Braşov. These are the “Children in Hameln”, where 130 missing children from the German town of Hameln appear mysteriously in the Braşov area. The Grimm brothers have not crammed the story, it is inspired by the legend of the foundation of Braşov. Somewhere in the 13th century, the inhabitants of a German Burg were invaded by rats. To get rid of them, they turned to the services of a whistler who told the people that he would get rid of the rats provided he was rewarded for his help. As soon as the whistler escaped the city of rats, the inhabitants forgot to keep their promise. To take revenge, the whistler began to sing a very beautiful song, and so it made all the children of the city to follow him. 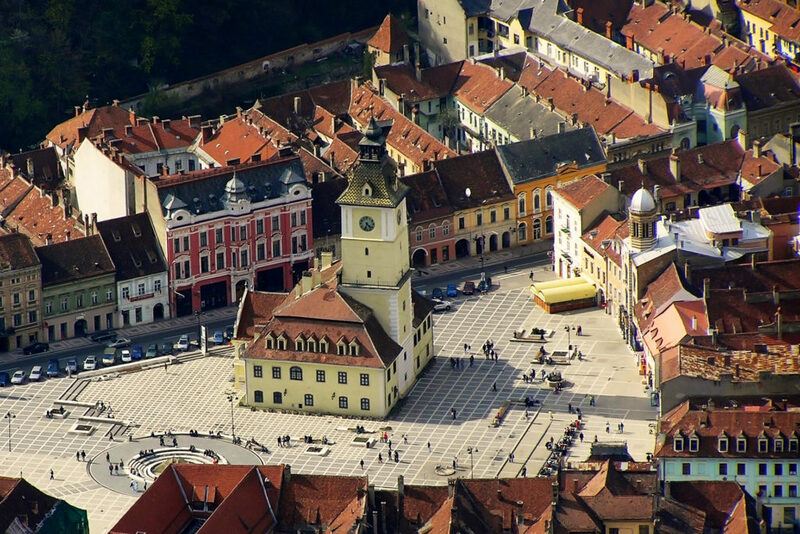 It is said that the little ones have traveled through the underground worlds and arrived in Brasov. They are also believed to be the founders of the seven Saxon cities in Transylvania.